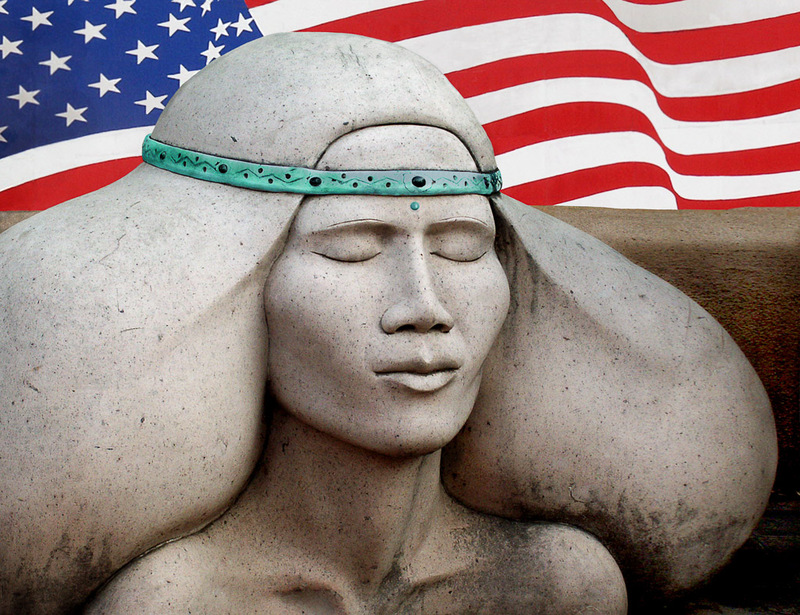 A native American Indian depicted in a sculpture seen in Santa Fe, New Mexico. 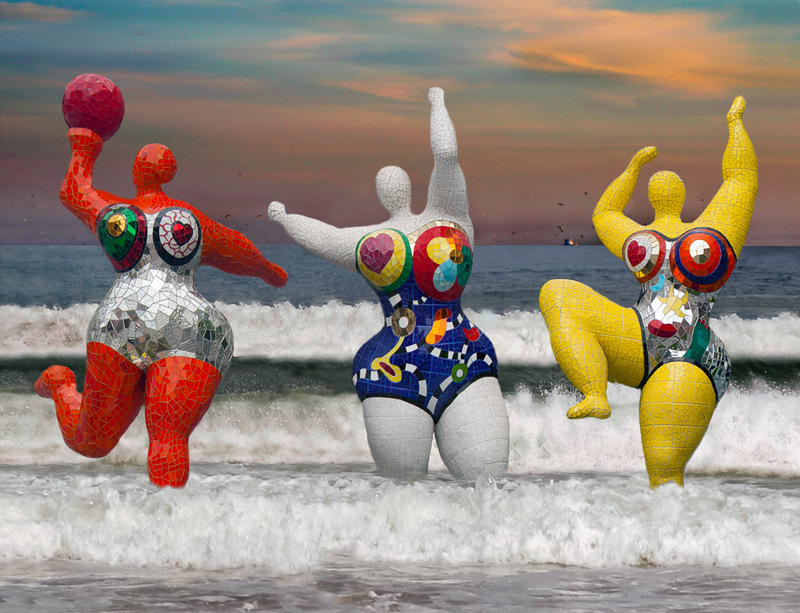 A Niki de Saint Phalle sculpture that I have re-imagined. 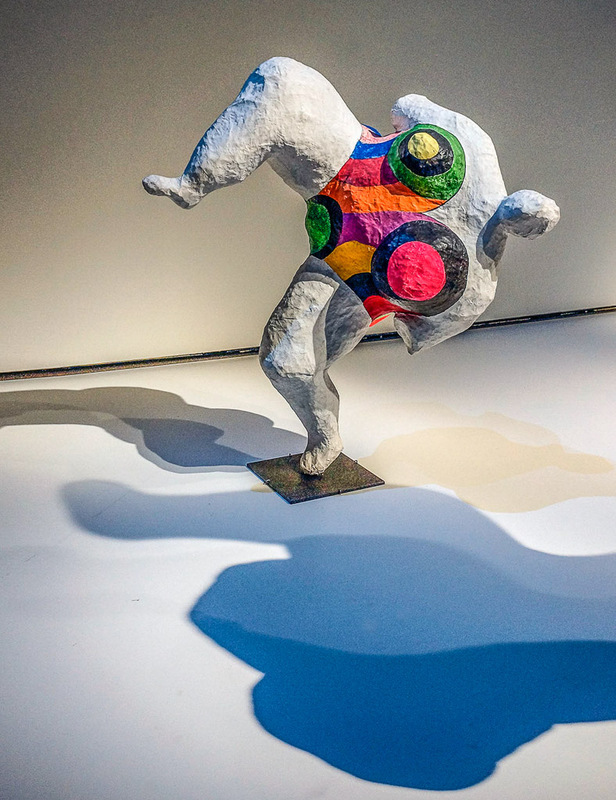 A Niki de Saint Phalle Nana at the 2014 exhibit of her work at the Grand Palais in Paris. 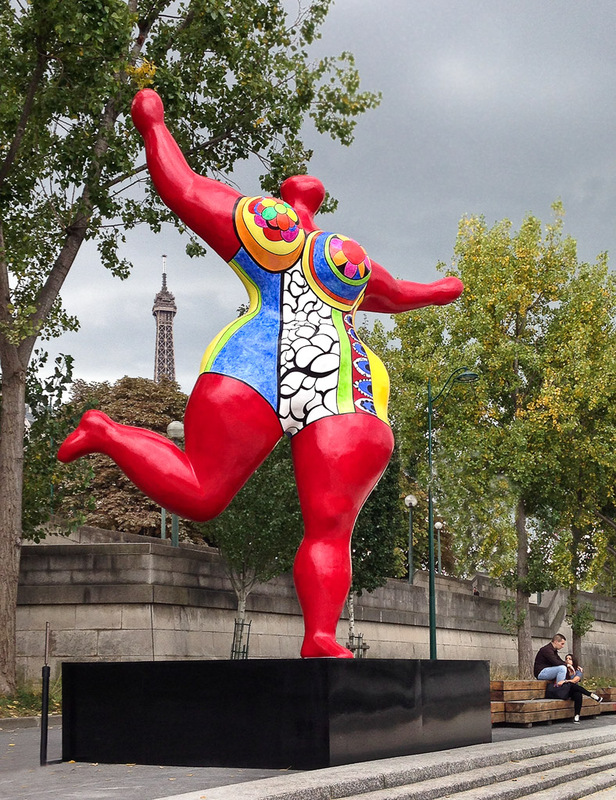 Niki de Saint Phalle sculpture between the tower and the Seine. 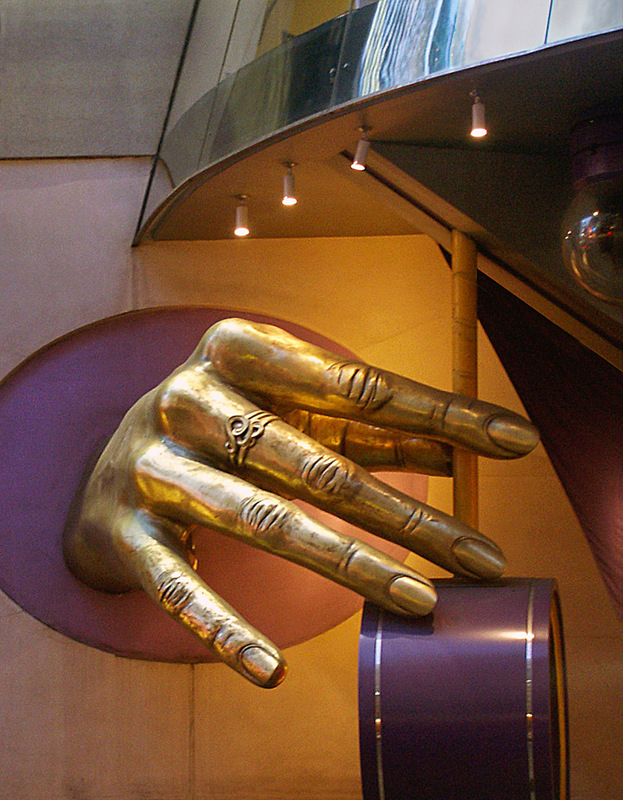 A golden hand at Madame Toussaud's Wax Museum in New York City. 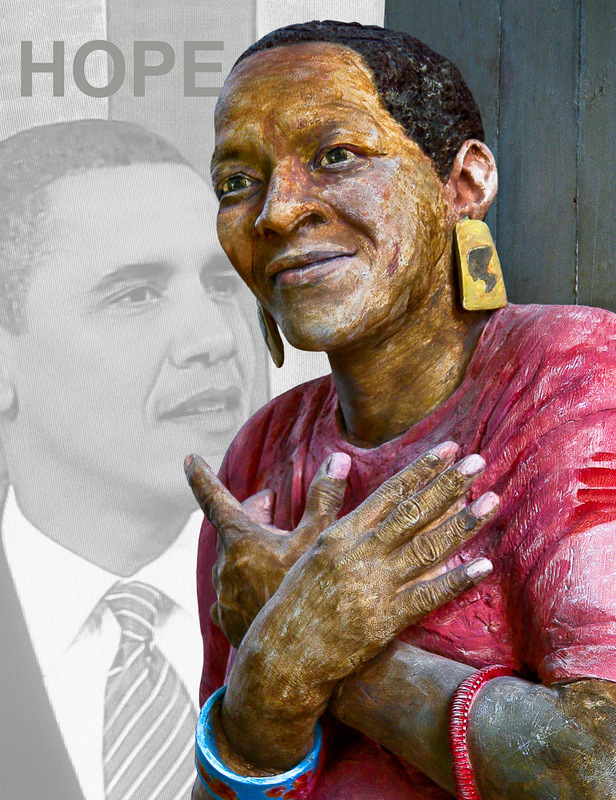 John Ahearn's Ernestine is made happy and hopeful by Barak Obama. 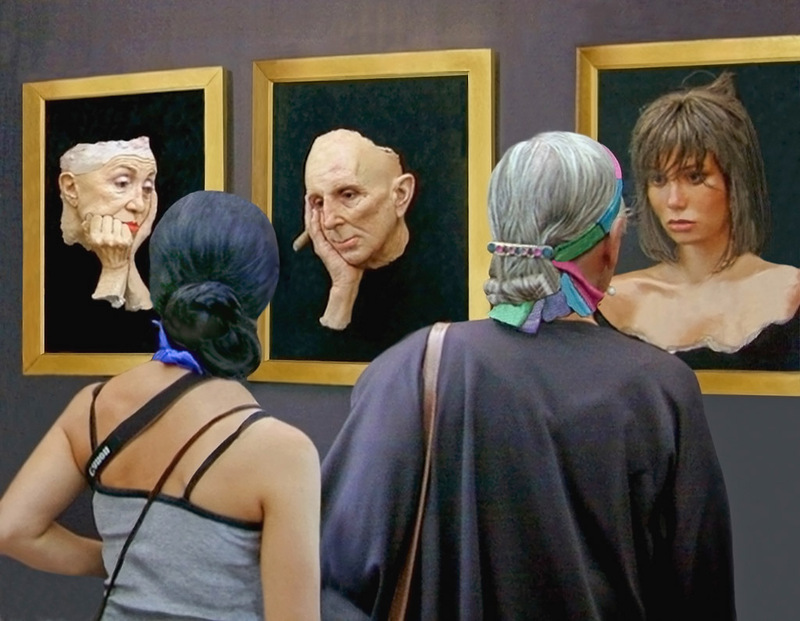 Seen at the North Beach Arts Festival in Miami Beach, Florida. 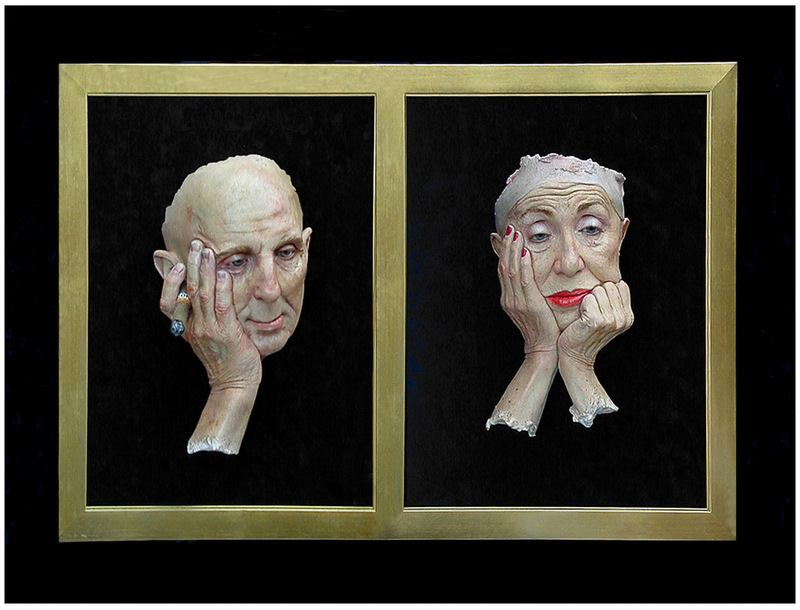 Is it boredom that this long time married couple is feeling? 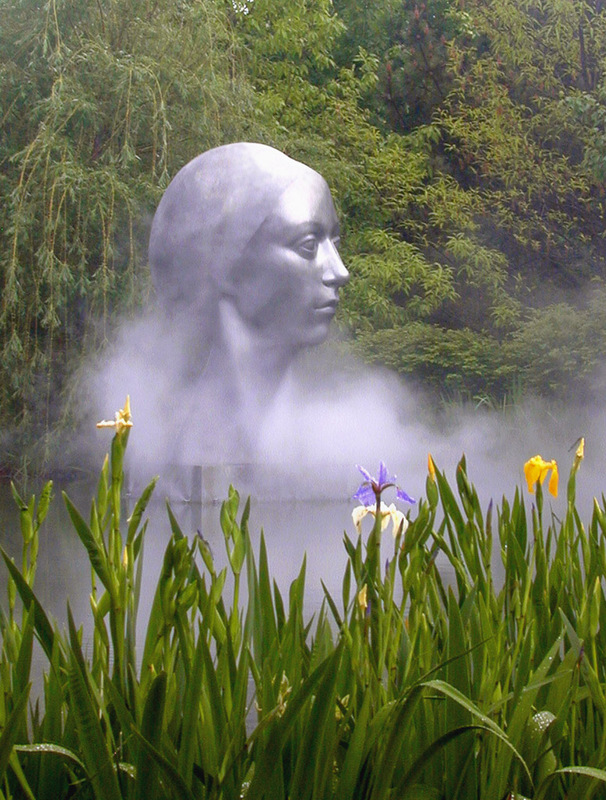 The mist adds to the mystery of the lady during the iris season. 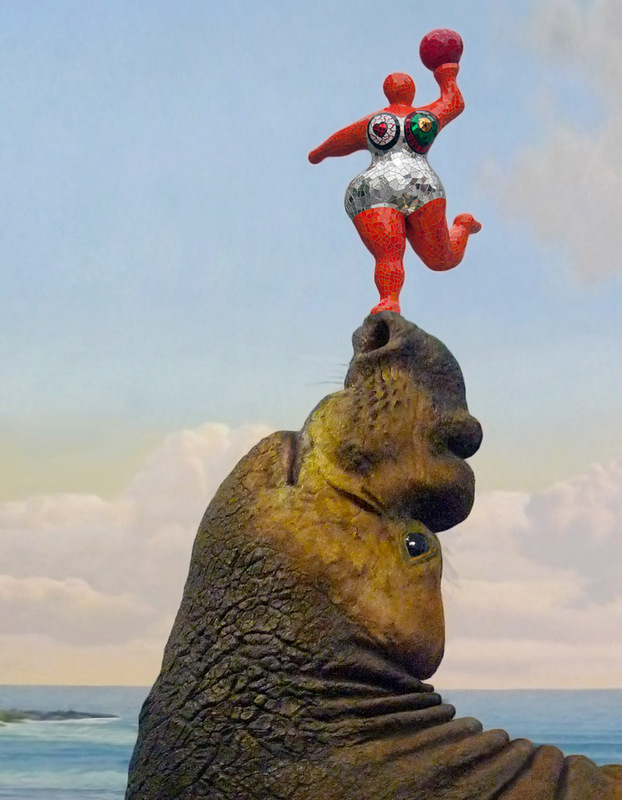 The warrior faces the cutting edge of fatal danger. 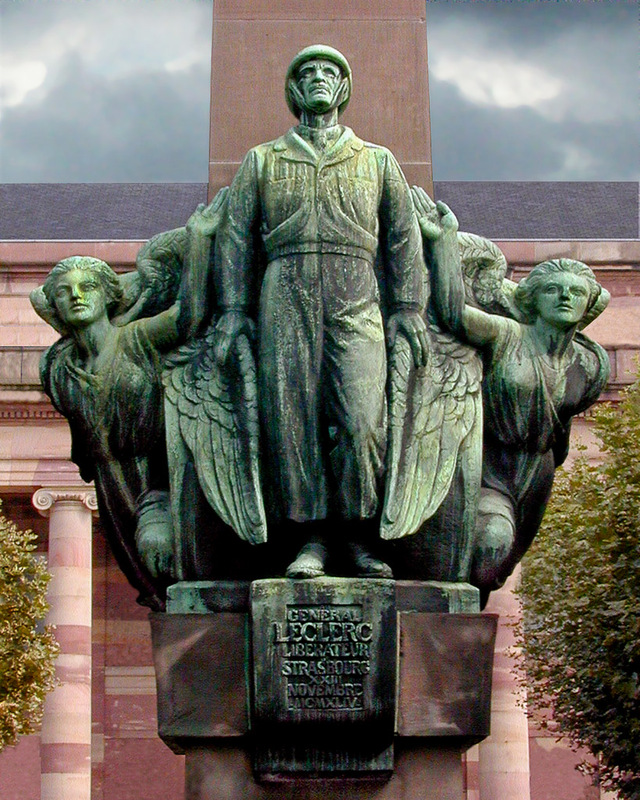 Almost every French village has a memorial for their soldiers lost in two World Wars. 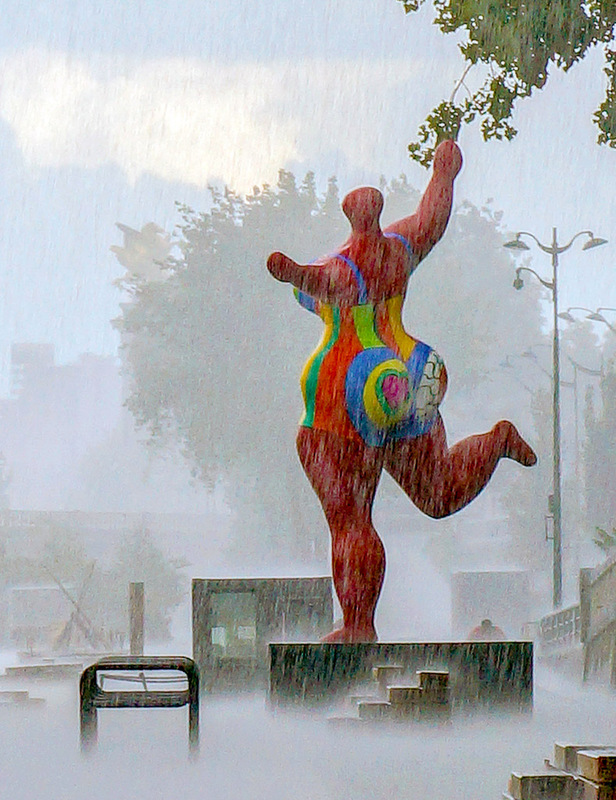 Both Monet and Renoir are recalled by this bather at the Grounds for Sculpture. 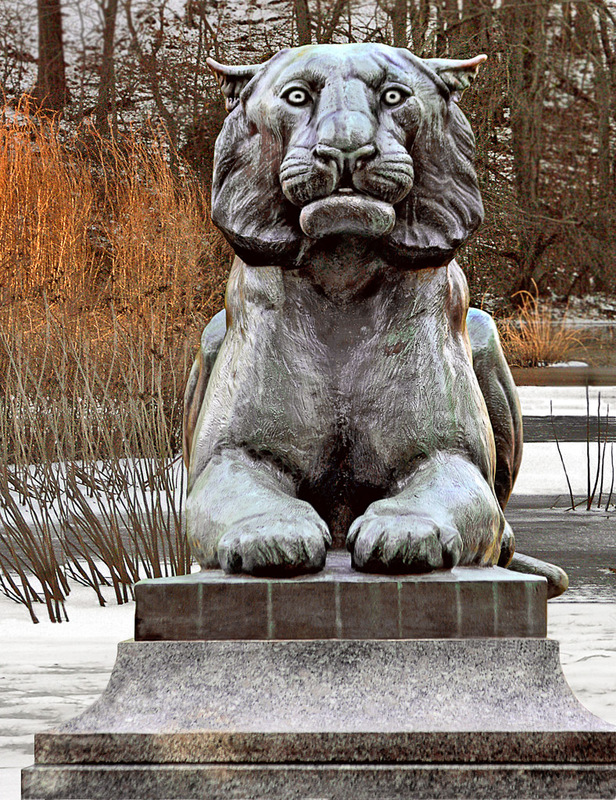 This regal stone lion is found on Palmer Square in Princeton, New Jersey. 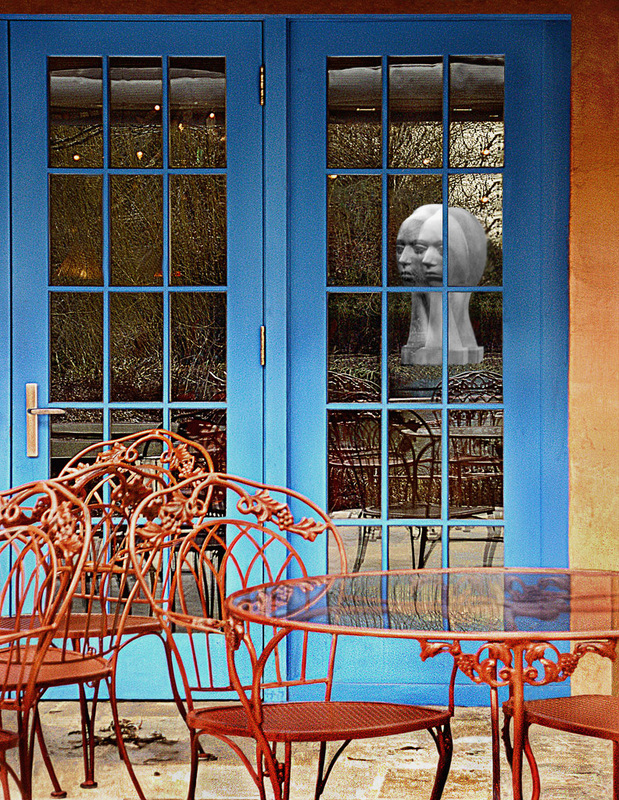 The lady of the lake is reflected in the terrace doors at the Grounds for Sculpture. 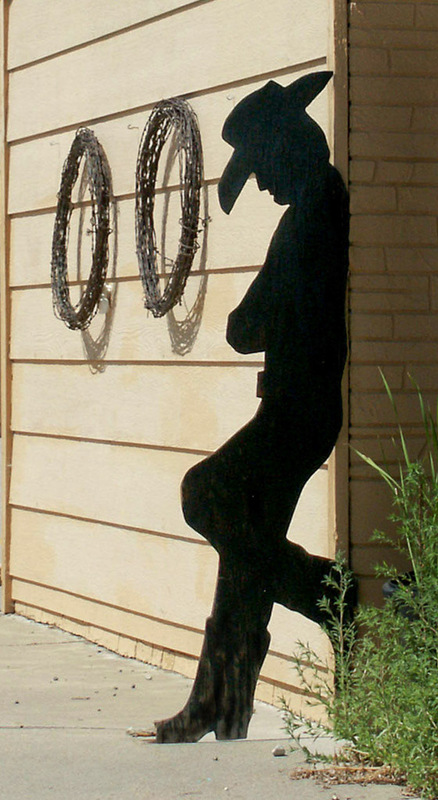 This lanky cowboy scupture was seen on a Texas road trip. 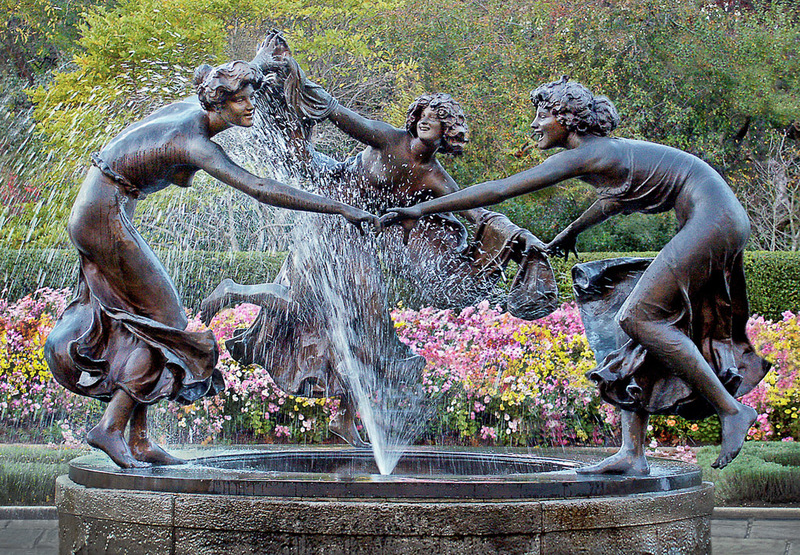 This sculpture by Walter Schott known as the Untermeyer Fountain is found in New York City's Central Park. 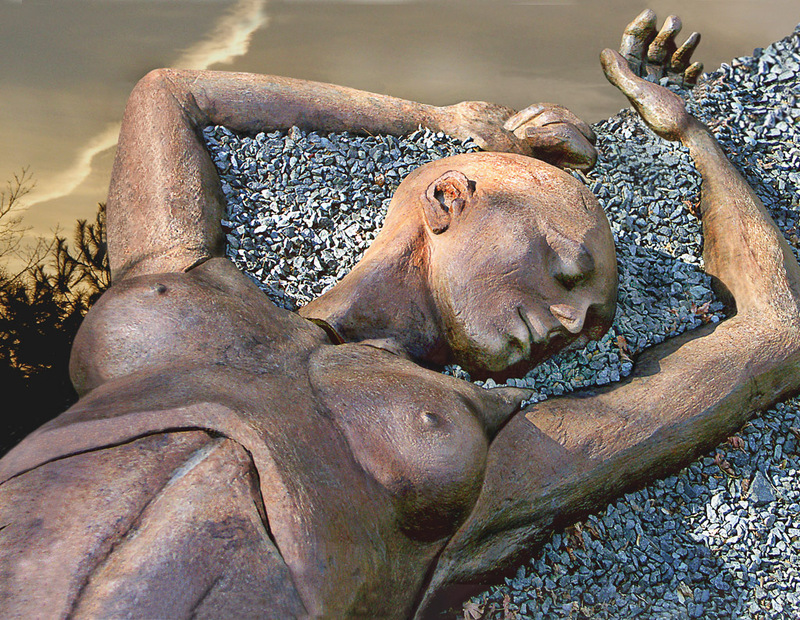 A sound sleeper at the Grounds for Sculpture, Hamilton,New Jersey. 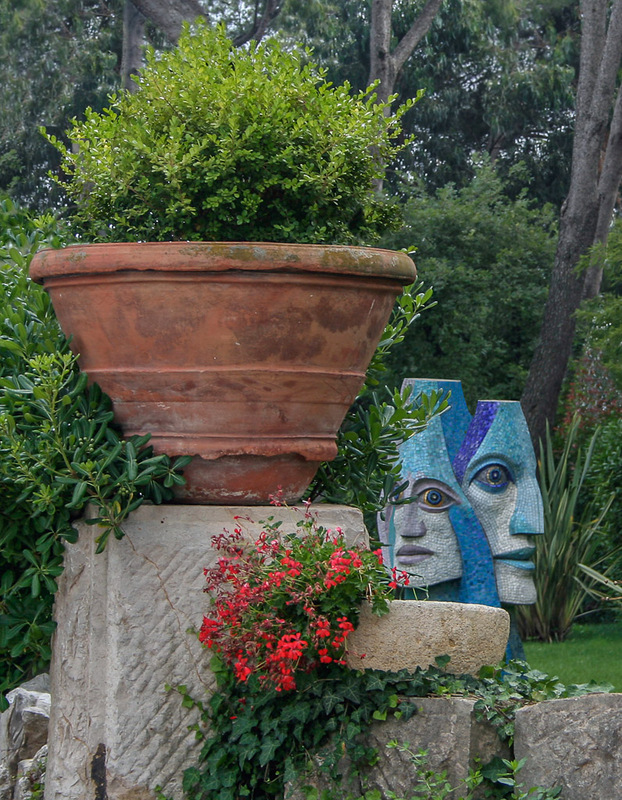 At the Grounds For Sculpture, Hamilton, New Jersey. 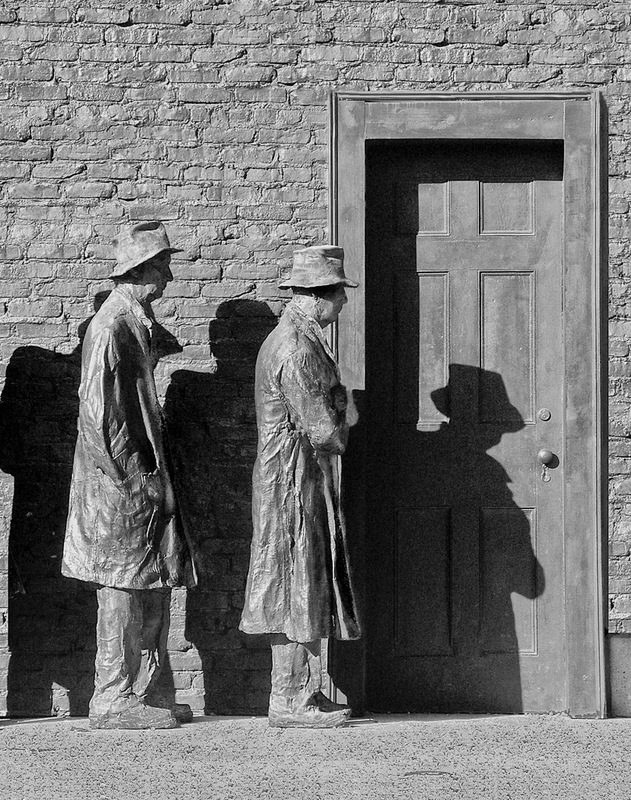 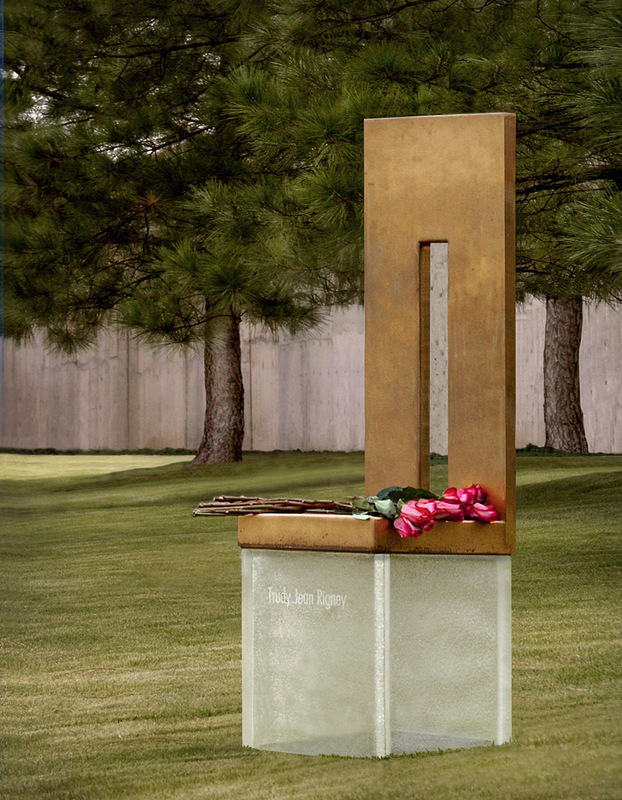 George Segal's work at N.J.'s Grounds for Sculpture recalls the depression bread lines. 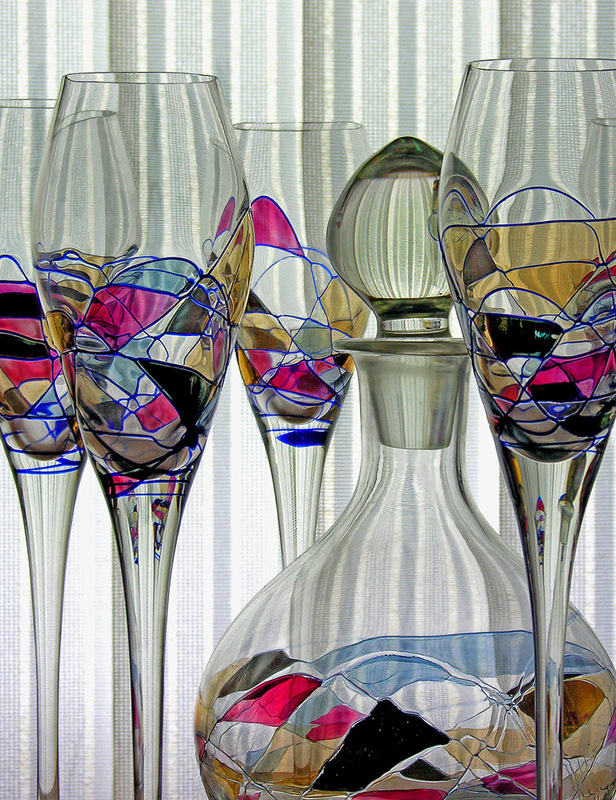 Patterns of glass and fabric in my dining room. 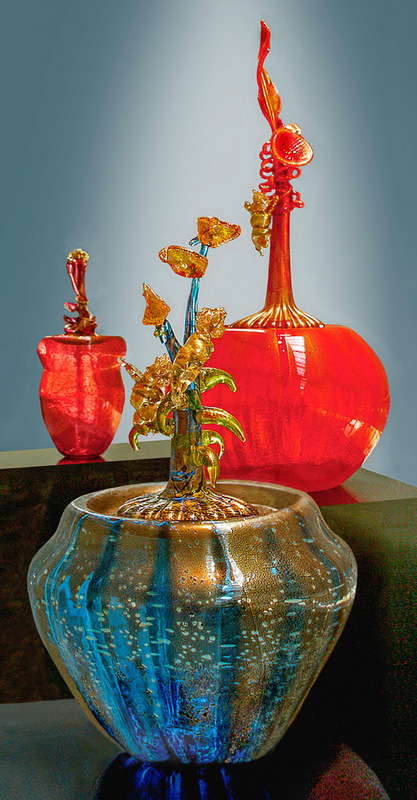 Hot glass by the American glassmaster, Dale Chihouly. 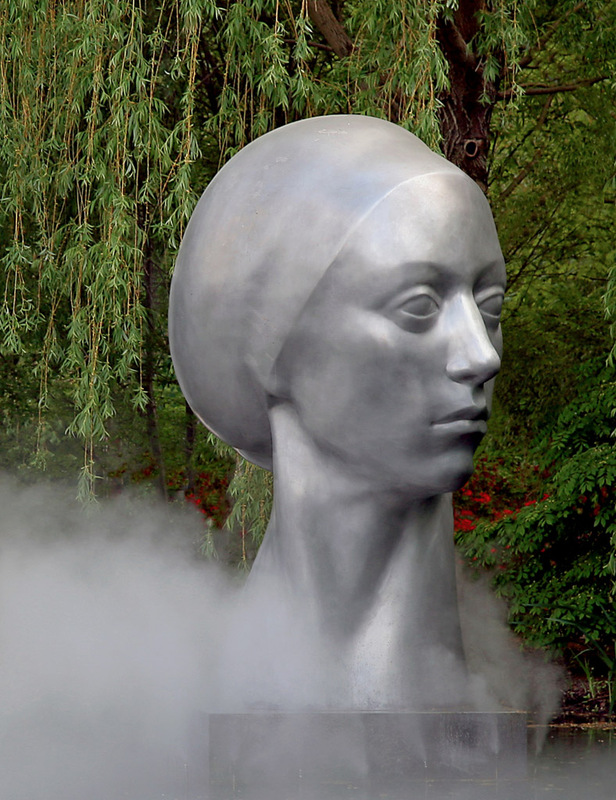 Looking through the mist at at the lady of the lake. 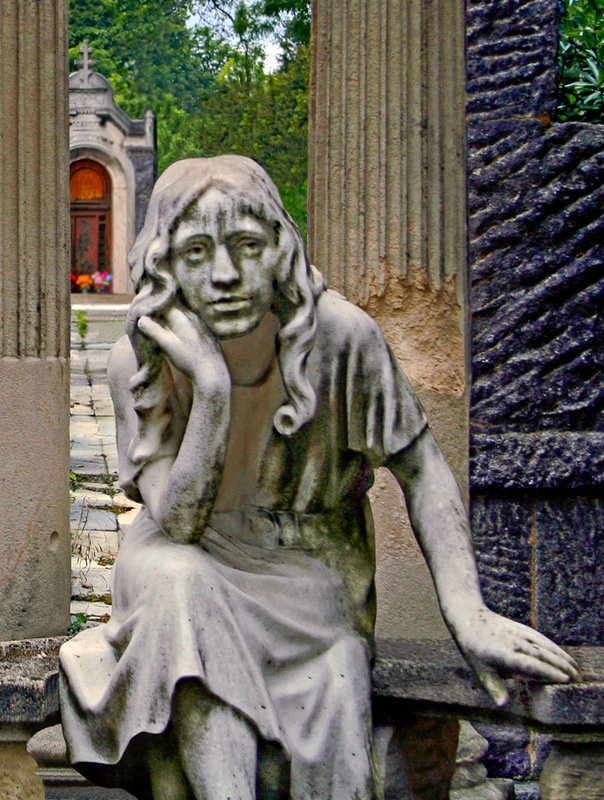 She sits in sadness in the Montmartre Cemetery in Paris. 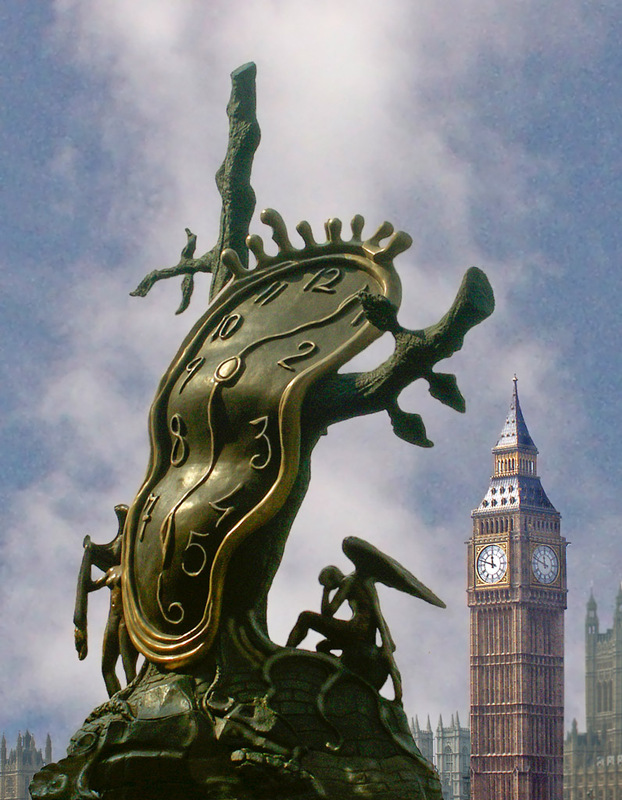 Dali's melting clock and Big Ben contrast concepts of time in London. 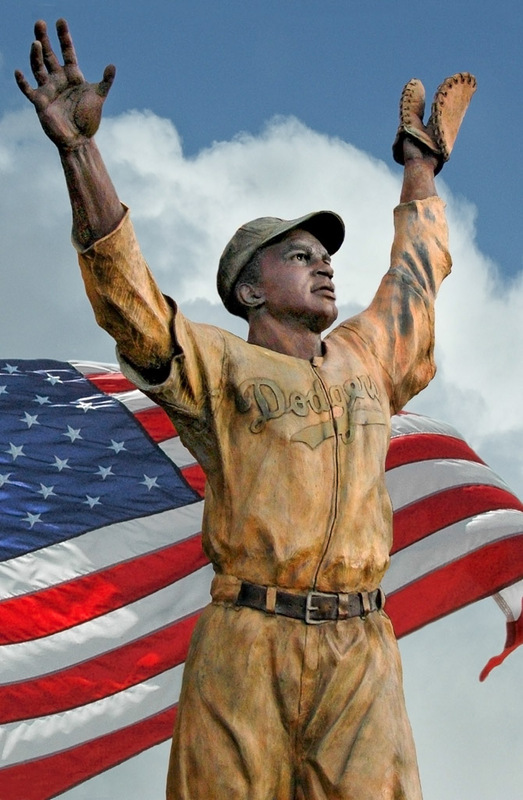 His 1st US baseball game is remembered at Journal Square, Jersey City, NJ. 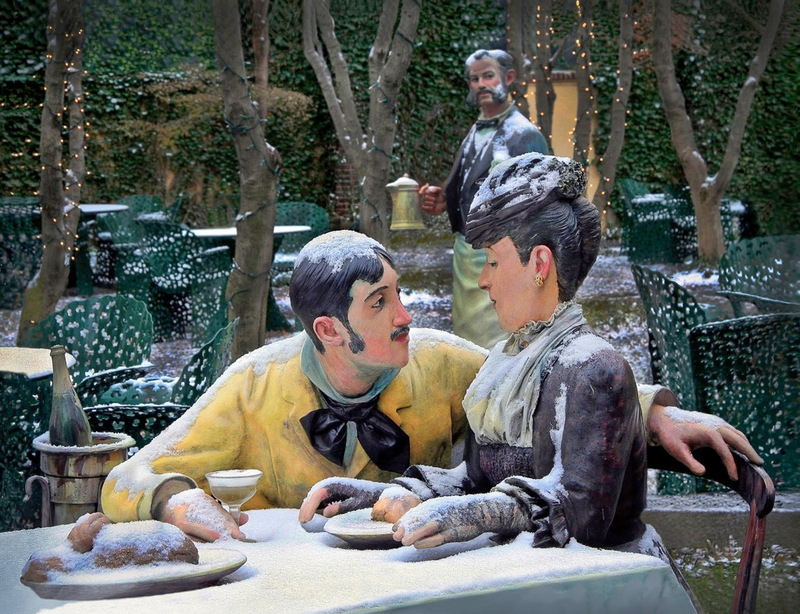 She is based on Manet's painting Le Déjeuner Sur L'herbe. 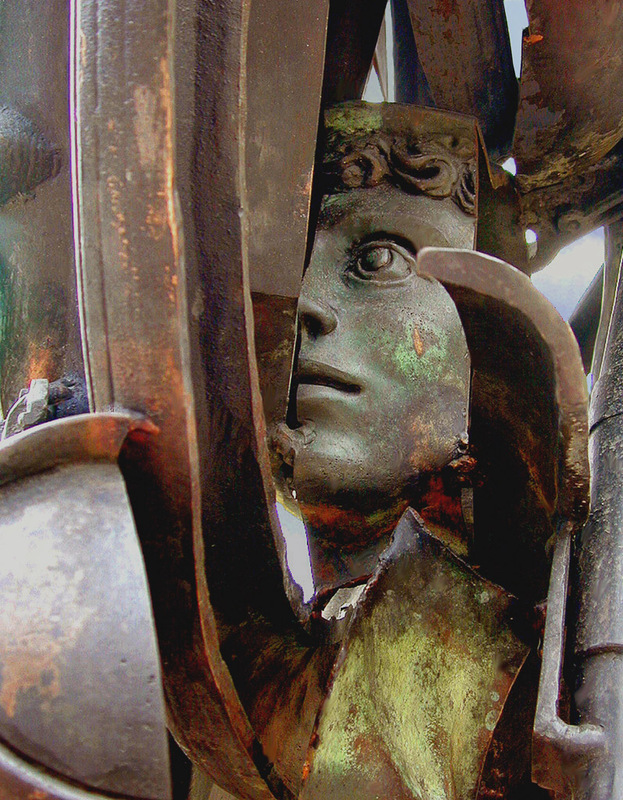 The peeper is my grandson in his Halloween costume. 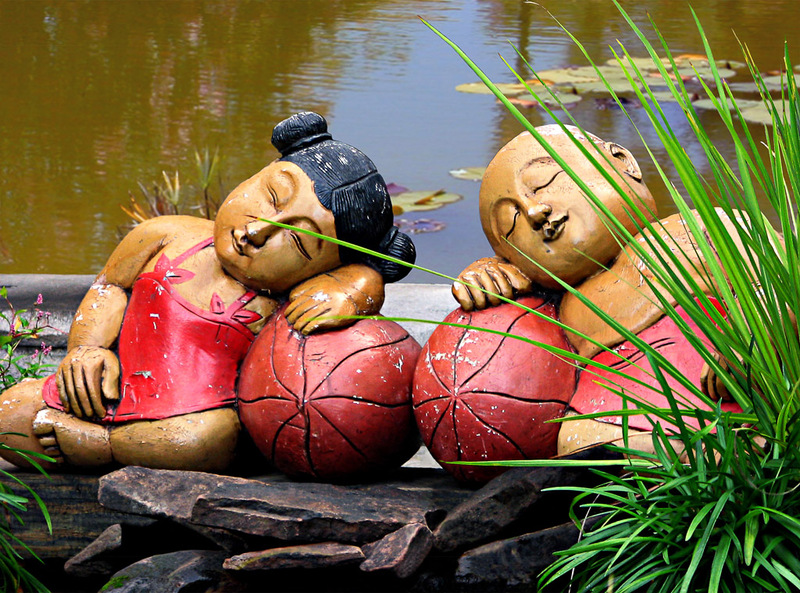 These nappers were seen on Bloomfield Ave. Montclair, New Jersey. 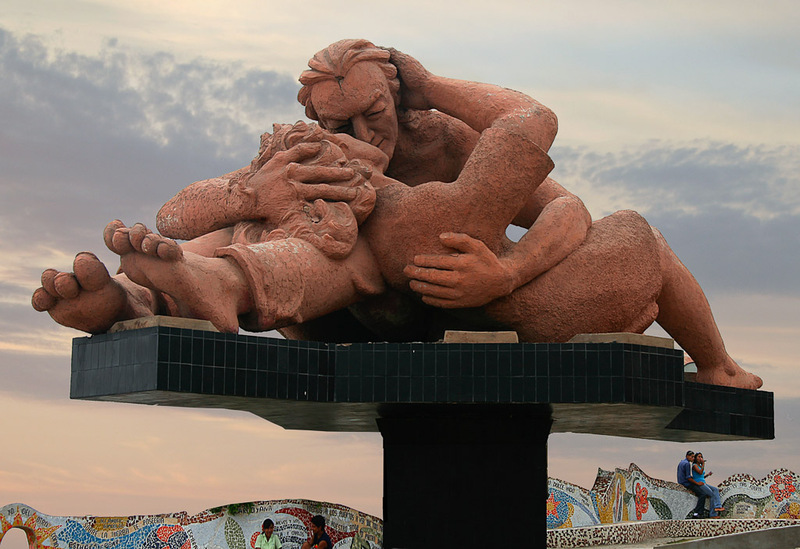 Two sculptures combine to depict King David gazing upon the bathing Bathsheba. 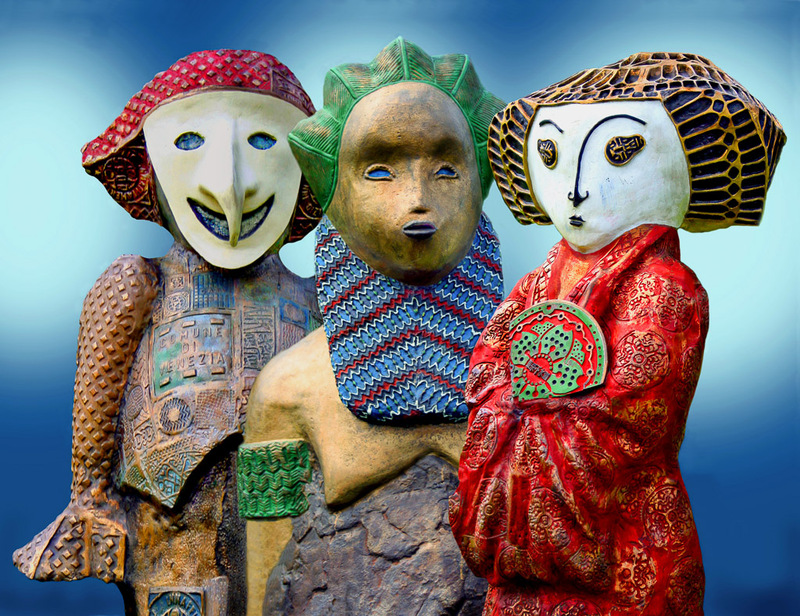 The opera characters, Don Giavanni, Turandot and Madame Butterfly. 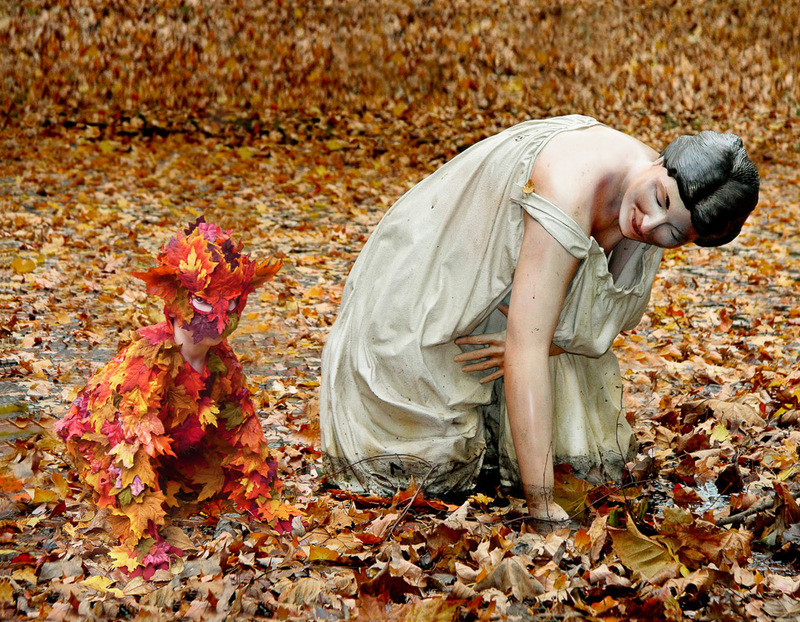 A Seward Johnson work at the N.J. 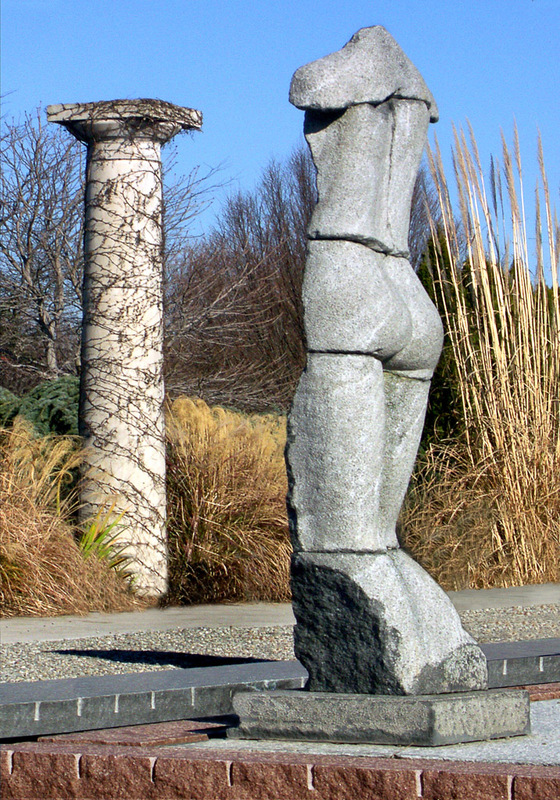 Grounds for Sculpture. 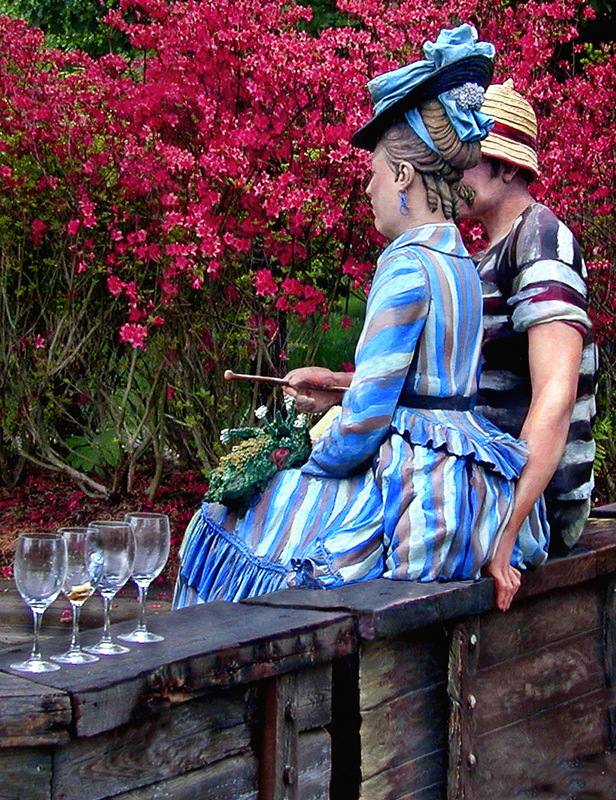 Renoir is recalled by this couple drinking wine at the Grounds for Sculpture, NJ. 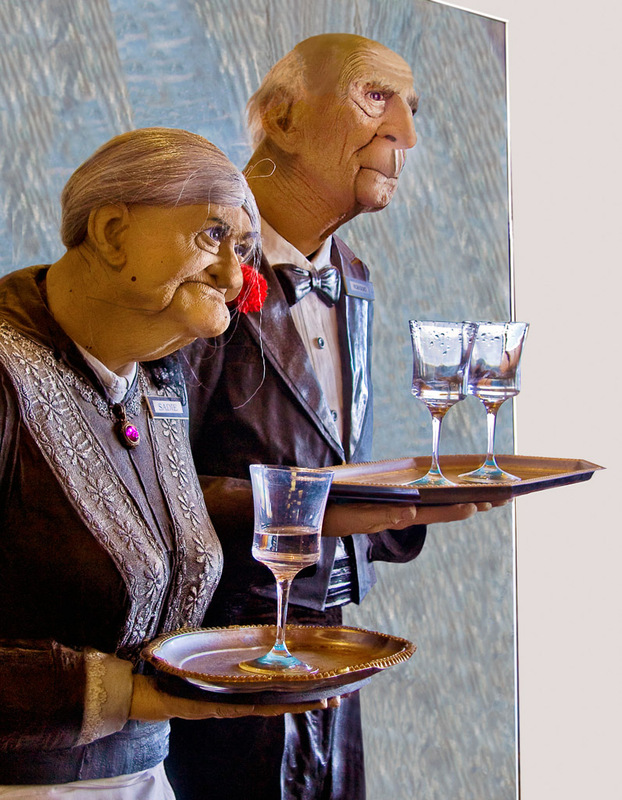 A sculpture seen in a restaurant on Maryland's Chesapeake Bay Bridge. 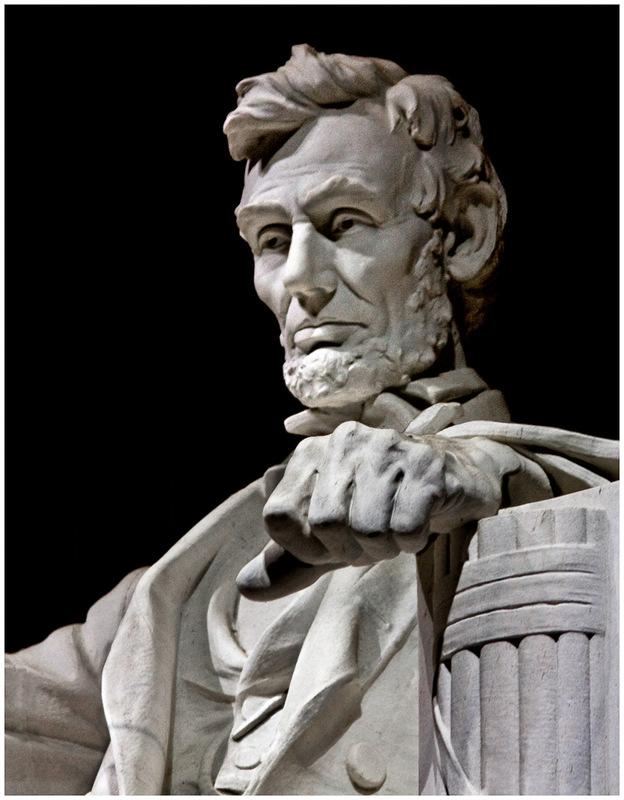 Abe up close and personal at the Lincoln Memorial in Washington D>C. 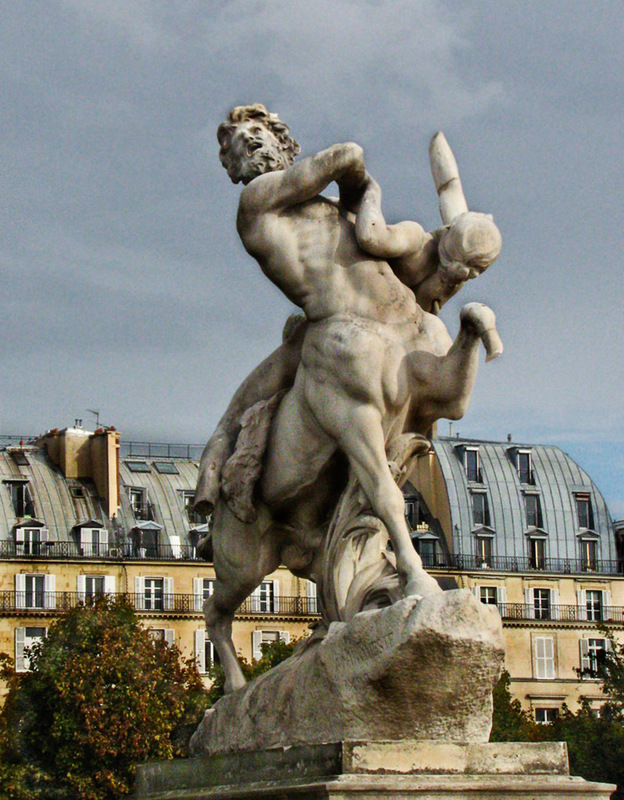 The sculpture is found in the Tuilleries Gardens in Paris. 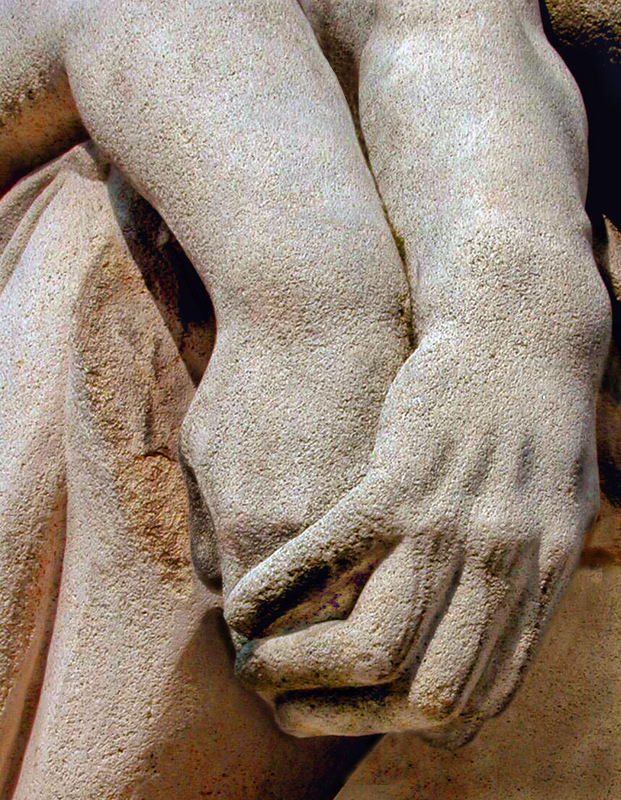 Detail on a war memorial commemorating France's peace with Germany.